The former Barca and Sporting Gijon star who is the eighth-highest scorer in the history of Spain''s top flight and will be remembered as an all-time great, has passed on. 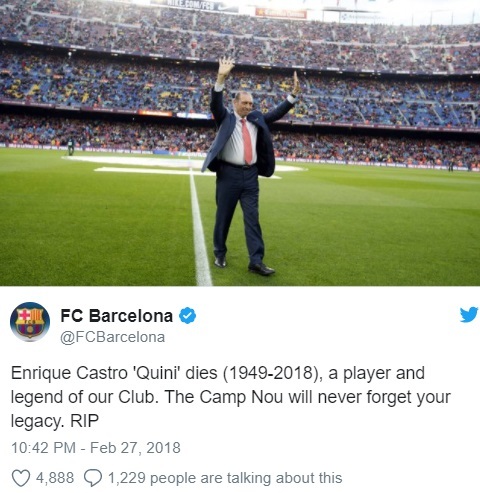 Enrique Castro "Quini," the former Spain striker who played for Barcelona and thrived in a long career with Sporting Gijon, has died of a heart attack. He was 68, according to ESPN Sports. Quini collapsed while walking near his house in the northern city of Gijon. Enrique Castro 'Quini,' an FC Barcelona legend, has died.